The problem with magical objects is that they don’t always do what’s expected of them. I’d never heard of Turlough O’Carolan before, so it was a little bit of a surprise when I realized that this character actually represents a real person instead of a mythical or legendary one. His backstory is clearly explained early on in this tale for which I was grateful. I would have never caught the reference otherwise, and it only took a few pages to catch me up on the most important details of his life. The plot regularly jumps between two story lines that are set a few hundred years apart from one another. The transitions between these settings were sometimes abrupt. At times I had trouble settling into what was happening next because my focus had been pulled away from the characters in the distant past (or future) at such a tense time in their journey. At times the romantic subplot clashed with everything else that was going on. It’s not typically something I expect to find in books written for this age group anyway, but the particulars of this specific relationship were extra puzzling for me. I never would have thought that the characters involved in it would have found one another attractive given all of the differences between them. Faeries have always fascinated me. Knowing that they play such an integral part in this story was one of the reasons why I was so interested in reading it. While I already knew almost all of the superstitions about them that were mentioned in the plot, it was fun to see how the Irish culture’s ideas about them differ from the legends of other lands. 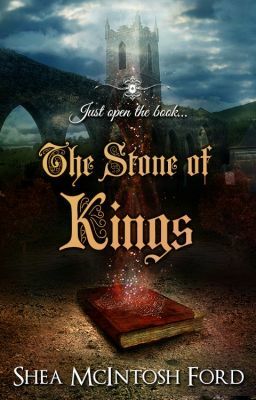 I’d recommend The Stone of Kings to middle grade and adult readers alike. This is the kind of fantasy story that I’d expect to appeal to a wide age range. It’s something I’d suggest to anyone who doesn’t typically read children’s fiction.